The story of how I met Essie Rosener and of the dramatic five years I spent under the roof of her house would make for an amazing movie script. The Roseners lived in a middle class neighborhood in Fair Lawn, New Jersey where everybody knew everybody and was friends with everybody. Essie was 80 at the time of my second coming to America. Albert, her husband, had died fifteen years earlier after being bedridden for a very long time as the result of a stroke. Essie took care of him without any outside help. She fed him, bathed him, gave him the medication three times a day, and sang him to sleep. It was a work of love, she used to tell me. 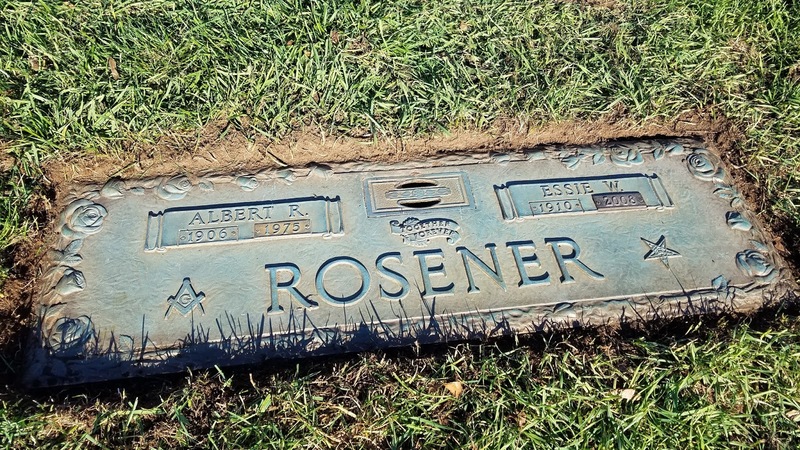 Mrs. Rosener was one of those individuals who without knowing it have played a significant part in creating the circumstances that led to the writing of A Time of Change. Among others, one of her nieces took a book from her library and gave it to me. I tried to read it but this was a very difficult time in my life and I was not in the mood. Not only that but the opening pages did not exactly have me hooked, so I put it back on the shelf where it remained untouched for a long time. Five years later, I had a sudden impulse and I gave it another try. I could not put it down and I finished it in a week. The book was Linda Goodman’s Star Signs, one of those works that open for you a window into a new world. In this instance it was a dimension beyond the observable. I was actually introduced to amazing esoteric knowledge I was now prepared to receive, and from that moment on I would look at what we perceive as reality with different eyes. Years later I realized there was something else about the House of Rosener that relates to this unusual book project. Albert was a Freemason, and Essie was a member of The Order of the Easter Star, a Masonic organization both men and women can join. I did not know much about Freemasons at the time. During the ruling of the dictatorial regime in my old country their organization was not allowed to exist openly for more than four decades while any literature about them was basically blacklisted. Work on the book started more than ten years after I left Essie's house. Research done on the role the Freemasons had in the establishment of the United States of America revealed that they were the driving force behind the movement for independence, that America was founded actually on Masonic principles and Masonic morals, and as foreigner I was shocked to see how religious groups and politicians associated with them would often distort that part of the American history, as well as the true history of Freemasonry. Many years into the writing of the book, I remembered that I once lived in the house of a Freemason whose wife was an Easter Star lady, and I found that to be an amazing coincidence, except that by now I knew there are no such things as coincidences. The plaque on the Rosner's tomb at the George Washington Memorial in Paramus, New Jersey. George Washington was the most prominent Freemason associated with the American Revolution and with the birth of the United States. Notice the Masonic Square and Compasses under Albert's name, and the inverted five-pointed star under Essie's, the symbol for The Order of the Eastern Star. Benjamin Franklin, a Freemason, was the leading figure among the founding fathers and he is known for a number of outstanding personal accomplishments. Among others, he was a member of and the principal decision maker within the committee that drafted the Declaration of Independence. He led the fight in the British Parliament against the 1765 Stamp Act, a law that allowed now the British Empire to tax the colonies directly. The Act was repealed in 1766. He was instrumental in the establishment of the University of Pennsylvania, and aside from being also a dedicated man of science, he created the concept of public library, a place where people could read books for free at a time when buying a book was prohibitively expensive in Philadelphia. The French Freemasons were deeply involved in the creation of a new society in America where the progressive Masonic principles could be fully implemented. Many of them fought in the Revolutionary War on the side of George Washington's ragtag army of volunteers, as was the case with a very young Marquis de Lafayette. The Masons surveyed and than built the capital of the new country, Washington, DC, and almost every architectural landmark in the city is the work of Freemason builders and Freemason architects. Thomas Paine, a Freemason, was the one who eloquently described how this new society had to be assembled, how was supposed to function and how it would benefit not just a few but all. A short time after the Revolutionary War was won the Freemasons would organize the underground railroad, a system that allowed black slaves to escape north in areas where slavery was illegal. Then there was the Rosicrucian, which same as the Freemasons and the Illuminati were dreaming of creating in America a model for a future world were tyranny, social injustice, and economic hardship would have had no place. The most prominent among the founding fathers associated with the Rosicrucian was Thomas Jefferson, the one who almost single handedly drafted the Declaration of Independence and gave the colonies a first look at the United States Constitution in the form of the Constitution for Virginia. Same as later Abraham Lincoln, he was a silent Rosicrucian. They were not actual members but were deeply connected to Rosicrucian principles and teachings. Few people on the planet are aware of the fact that the Freemasons were behind not just the American Revolution but also every single major progressive movement and social revolution in Europe. As you are going to see in the book, the emergence of the Illuminati is closely connected to the signing of the Declaration of Independence and the beginning of the Revolutionary War. This organization had a similarly progressive, anti-religion agenda, and it was advocating for much needed social change, reason why same as in the case of the Freemasonry the Illuminati was and still is denigrated by individuals one way or the other associated with religious institutions who benefit from and are protectors of the status quo. As a result of this intense campaign of misinformation carried for over two hundred years in and around churches, most everyone among the "good Christians" and even a large segment of the non-affiliated secular public either loathes or fears the Illuminati and the Freemasons. Not only did the Freemasons initiate the American Revolution and the writing of the most progressive constitution in the history of humankind, they also offered the vision of a new world order. This was a new existential system founded on the principle of equality and liberty for all, and on the notion that all the people on the planet were to live as one, in a world with no borders, no countries and no antagonistic governments. To that end they gave the western civilization the Age of Reason and the Age of Enlightenment, intellectual movements that have generated tremendous cognitive advancement, something that caused religious institutions, especially the Catholic Church to lose their tight grip on society. The Freemasons were behind the French Revolution, the Paris Commune, the 1848 revolution, also known as the Spring of Nations, and last but not the least behind the Russian Revolution of 1917. These were all pro-social justice, social reform, and social equity revolutions. They would all be hijacked though by the forces of darkness with the consequences many of us are aware of today. 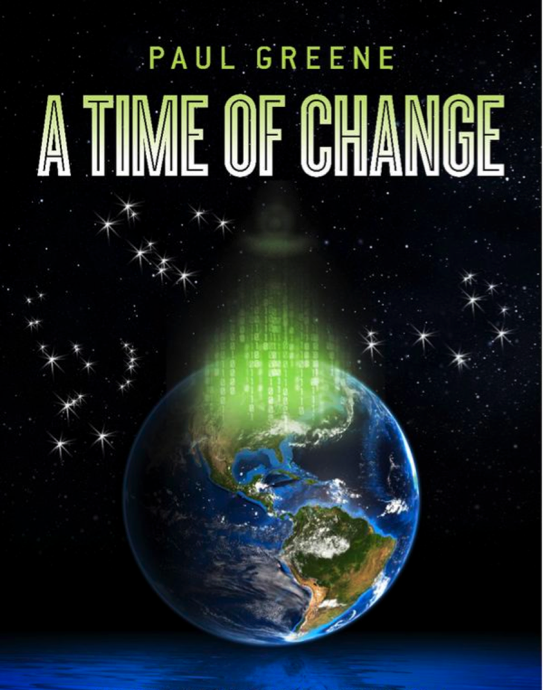 The opening chapters of Volume 3 are dedicated to topics associated with two controversial books. First one is Dan Brown’s worldwide best seller, the mostly fictional thriller The Da Vinci Code. The other is the book Brown took inspiration from, a 1982 study by Michael Baigent, Richard Leigh, and Henry Lincoln titled Holy Blood, Holy Grail. Paradoxically, and the main reason why I included this analysis in A time of Change, the most interesting part of the story behind these very popular books is what neither one of them reveals. It so happens this is something the guardians of the status quo did not want it revealed, reason why, as you are going to see, major media organizations did not know how to put an end to the conversation in the public forum of debate any sooner. This, however, is information of great significance for humankind that helps us understand why we are where we are as a civilization. The part of the story the media did not want made public is related to the infamous Pierre Plantard hoax, which includes the alleged existence of a supposedly secret organization called The Priory of Sion. In reality, the Plantard hoax was not his hoax, and the real story behind this story is about the underground war for control over France going on before, during, and after the WWII between certain secret societies, among them the Freemasonry and The Brotherhood of the Rosy Cross, and a Catholic Church that wanted to see a return of the monarchy in that mostly Catholic country, which would have given the Vatican more political power in Europe. What is even more interesting about this is that, as the reader will be able to see for himself, that underground war is actually well-documented history, a history to be brought to light in the book for the first time. At the time of the WWII a large portion of the population of France was assembled into an ultranationalist Catholic society inhaling and exhaling National Catholicism. Many French people, with many prestigious intellectuals among them, were very anti-Semitic and pro-Nazi, and they were angry with the Masons and the Jews that brought to France the Third Republic, which unlike the monarchical system was a democratic form of government. I mention this because the name Rosener sounds Jewish and many, including me, were convinced Essie was Jewish. 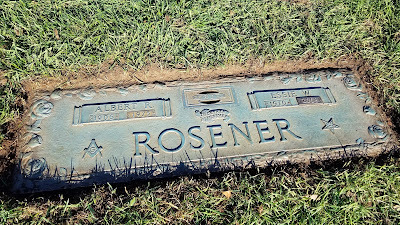 She had many Jewish friends in a very Jewish neighborhood and through her I was introduced to a number of Jewish families, but the Rosener's were not Jewish. A well documented fact, prominent members of the Jewish community have always been active promoters of democratic principles and supporters of secular democracies. The Jewish society itself was built and functioned as a Commune, and many Jewish politicians, thinkers and scientists would often collaborate with the Freemasons on significant social projects meant to help create that new world order. This was the actual reason why they were oppressed from the moment the so-called Universal Church was created. It had nothing to do with them allegedly being god-killers, something that never happened anyway. Same as in the case of the war between the Freemasons and the Catholic Church, this was actually about control over civilization Earth and the direction its development was to follow. Because this war is often fought on the public relations front, you will hear today many among those raised Christian, as well as the secular who was fed for years the same fabricated rumors about the Masons and the Jews conspiring to take over the world blaming those terrible Masons and Jews for all the problems the world is confronted with. Except that the problems were created by those who gave us the institution of religion, and that the world is controlled by them, something the Freemasons, the Rosicrucian, the Illuminati, the progressive Jews and everyone who took the time to look into the real history of our civilization, the one currently not taught in our schools and universities and not mentioned in houses of worship is well aware of. When I look back these days on everything that happened in my life, I am well aware now of the fact that everything happened for a good reason. I am also aware of what that reason was. The universe is always showing us the way, and along our journey through life we meet people and we experience events that help us fulfill our mission. My short staying in the House of Rosener was one of those instances. It was another blazer meant to keep me on the path to what it appears to be a chosen destination.